I have seen the future of desktop computing, and it is very small. Ironically, it is also very portable. Imagine a Macintosh in a smartphone form factor. Pull it out of your pocket, and it works like an iPhone with a touchscreen interface. Make calls, run apps. But link it up with a wireless mouse, keyboard, and AirPlay monitor, and it provides a full-blown OS X desktop experience. This device is always with you, ready to use wherever you are (by touch), and ready to utilize for greater productivity whenever you have the accessories on hand. No need to sychronize between machines; no need to trust in the cloud. All this for the low, low price of $699 unlocked. It's the MacBook Pocket, and I just made it up. As computing technology continues to shrink in size while increasing in power, we are looking at a guaranteed collision between the smartphone and the traditional desktop worlds in the very near future. 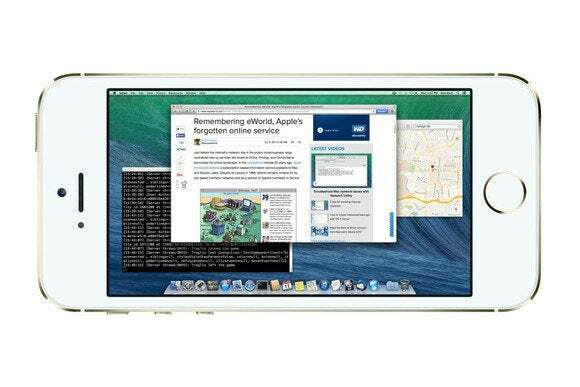 But pocket-sized hardware grows more powerful every year, so it won't be long before it makes sense to use a smartphone both as a pocket device with a touchscreen and as a desktop-replacement with a full-sized monitor, keyboard, and mouse. When that happens, I think you'll want a pocket Mac, too. Everyone understands the utility of a touch-screen iPhone. I have one, and it's very handy: I can look things up quickly, take notes, play games, and communicate with people all over the world. And it fits in my pocket. At the same time, it is unquestionably easier to perform many productivity tasks such as image editing and word processing with a mouse (or touchpad) and keyboard than with a touchscreen. Hence the Mac. In the years ahead, it will make less and less sense to keep these two worlds separate. Why? Because it's easier to carry one device than two. The overarching narrative of the smartphone revolution has been that the smartphone is the Swiss Army Knife of gadgets. Over the past decade, smartphones have grown to devour many formerly discrete devices—such as point-and-shoot cameras, video cameras, GPS receivers, voice recorders, PDAs, and cell phones— and combine them into one box you can fit in your pocket. And within the next decade, I believe that desktop and notebook computers— dedicated productivity machines—will become yet another device added to that list. But before that happens, desktop machines will perform an amazing shrinking act. While writing about the history of computers for the past decade, I've spent a fair amount of time thinking about what past trends in the computer industry mean for the future. One of the most obvious trends is that computers are becoming smaller, faster, and less power-hungry while simultaneously becoming less expensive than ever before, historically, when adjusted for inflation. As computing technology continues to shrink in size while increasing in power, we are looking at a guaranteed collision between the smartphone and the traditional desktop worlds in the very near future. That collision is already beginning, although few notice it. More than a handful of companies currently pack ARM-based chipsets developed for smartphones into miniscule USB-stick-sized "desktop" computers. 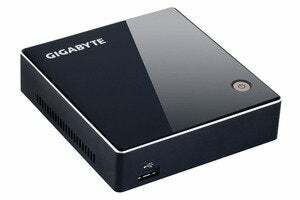 On the x86 end of things, devices like the Gigabyte Brix and the Intel Next Unit of Computing (NUC) have drawn upon technology developed for notebooks to shrink down powerful desktop machines into the palm of your hand. Meanwhile, owning an iPhone 5s is like having a world-class supercomputer of the early 1990s in your pocket. Some day, these trends will inevitably will meet in the middle, producing desktops that are no larger or more power hungry than smartphones, and smartphones that are just as powerful as desktops. At that point, they might as well be the same thing. Of course, one cannot talk about merging the smartphone and desktop worlds without mentioning a few commercial experiments to this end, such as the Atrix 4G and the Asus PadFone. Both devices operate as smartphones which can be docked to larger, laptop-like devices for a more productive experience. Those two devices have proven that this merger will be tricky. Neither one carries with it the weight of a legacy desktop environment like Windows or OS X—both of which bring with them millions of apps ready to run. And in the case of the Atrix, its "laptop dock" cost as much as a fully-featured laptop itself. Meanwhile, those of you familiar with Windows 8 will know that Microsoft has already thrown itself head-first into a world where desktop and touchscreen computing are merged. 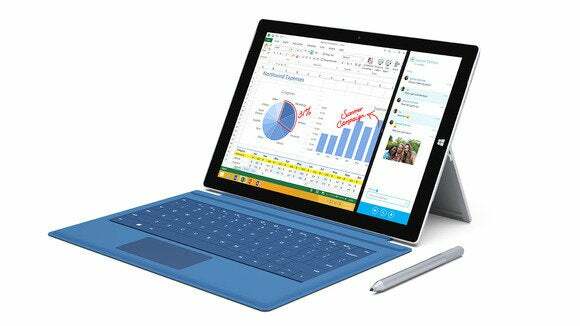 Think of the dominance of the Metro interface, even on desktop PCs, and of course, the Surface line of tablets. Until recently, I thought this was a boneheaded move, and I use Windows PCs just as much as Macs. But as x86 processors become more capable and less power hungry, I've realized that Microsoft might actually be more well-prepared for the future of computing than we think. Just last year, Intel released a new series of low-power Atom CPUs designed for tablets. The Dell Venue 8 Pro uses just such a processor in an 8-inch tablet form factor. Its Intel Atom Z3740D CPU, which packs two cores running at 1.8 GHz and an integrated GPU, consumes only 2.2 watts of power. Running full Windows 8.1, the Dell Venue 8 Pro can act both as a touchscreen tablet and a traditional Windows desktop experience (compatible with most software going back to Windows 95) when linked to wireless input devices. And it can do so with a 9-hour battery life. This device, with an 8-inch screen, is one shade away from being a pocket desktop machine. The only thing stopping it is that Microsoft has not optimized Windows 8 for a smaller, phone-sized screen. Yet. So the hardware is already there for a bare-bones, pocket-sized OS X desktop today. Apple could use an Atom CPU like the Dell Venue 8 Pro and have a product out next year. But its performance would not be strong enough to replace a low-end Mac mini, much less a Mac Pro. And Apple rarely does anything bare-bones. They focus on user experience. I'm sure they would want the experience of desktop OS X on this theoretical MacBook Pocket to be up to the standards set by its other mouse-driven products. The power is just not there yet. But we may not have to wait long. I suspect that within half a decade, the computing power of a battery-driven, pocket-sized x86 system will equal or exceed the performance of a mid-range Mac mini today. One could probably support this claim statistically with some kind of chart, but I don't need no stinking statistics. I can feel the truth of it percolating in my gut. Accepting everything I've said so far, let's just assume that Apple really will release the product I've been describing in, say, two years. What would it look like? What would it cost? What software would it run? I'll just throw out some numbers, which I am more or less pulling out of thin air. The MacBook Pocket will retail for $699 unlocked, or $199 with a two year cellular contract. It will contain a quad-core Intel Atom XZZ8990M Processor (fictional model number) running at 2.5 GHz per core, Intel Iris Mobile 5000 graphics, 4 GB of RAM, and 64 GB of flash storage. As for networking: 802.11ac, Bluetooth 4.0 EDR, GSM/CDMA wireless data support—the works. It will run OS X 10.11 Cupertino, which will include an ARM virtual machine that runs iOS-native apps at nearly full speed. Other built-in touchscreen apps will be native x86 programs. It will also be able to run any OS X desktop apps created for the Intel Mac platform when linked with a full-sized desktop display. Heck, you'll be able to use iOS and OS X apps at the same time if you want. The MacBook Pocket will look pretty much exactly like an iPhone 6s, with whatever stylings that will bring (Jelly-covered? Eww, Jony! ), and it will be available in both 4-inch widescreen (a la iPhone 5s) and in a phablet-style 5-inch screen model. Apple will also offer a mobile dock (DockBook MacPocket Pro?) that looks like a MacBook Air. You will be able to wirelessly link your MacBook Pocket to it (while still keeping the Pocket in your pocket) and use it like a notebook computer. Sounds like fun to me. Even so, there is yet another way to bring the desktop experience to a pocket-sized Apple device today. Like the aforementioned MacBook Pocket, the iPhone Whatever—let's just call it the 6G (for Gel)—will wirelessly link up with a mouse, keyboard, and display whenever you want to get some serious work done. Of course, if Apple provided a desktop app for the iPhone, whatever apps run in the desktop environment would not be compatible with OS X on the Macintosh. They'd have to be written from scratch, which would be a bummer. But that makes me wonder. What's stopping an enterprising iPhone app maker from creating an iPhone Office suite, complete with word processor, spreadsheets, etc., and a Photoshop-like image editor into one iOS App that links with a Bluetooth mouse and keyboard and uses an AirPlay display? Oh: Apple. That's what. The dictum has been clear from the start: no mice in iOS. (That's where jailbreaks come in, which is beyond the scope of this article.) Obviously, that was a great idea at the start of the platform, so we wouldn't see hackneyed ports of desktop apps on the iPhone. But as the iPhone continues to grow in power, it might be time to change that requirement. Think about it: In a decade, the iPhone might very well be more powerful than supercomputers of a few years ago. If I'm still just making phone calls, texting, Twittering, and playing Infinity Blade 17 on that pocket supercomputer, I'm going to faceplam myself to death. No, Apple. The future of the iPhone is to subsume—nay, ferociously devour!— the OS X desktop. The iPhone 16J (Jerky-covered? Eww, Jony!) will be the Mac Pro of the future. That is your primary mission, Apple. I'll check back in a few years and see how it's coming along. Meanwhile, I'll be in the past, writing on my very non-pocket-sized computer.